There are a couple pieces a woman should have in her closet at all times, and I think a classic pearl necklace is one of those. This gorgeous pearl necklace is exactly that. Jr. Dunn has some gorgeous pearl necklaces, and this one is beautiful. Every woman needs to have a real pearl necklace, its a staple piece. Some would think that you can only wear a pearl necklace in a dressed up manner but you can totally wear it casually as well. 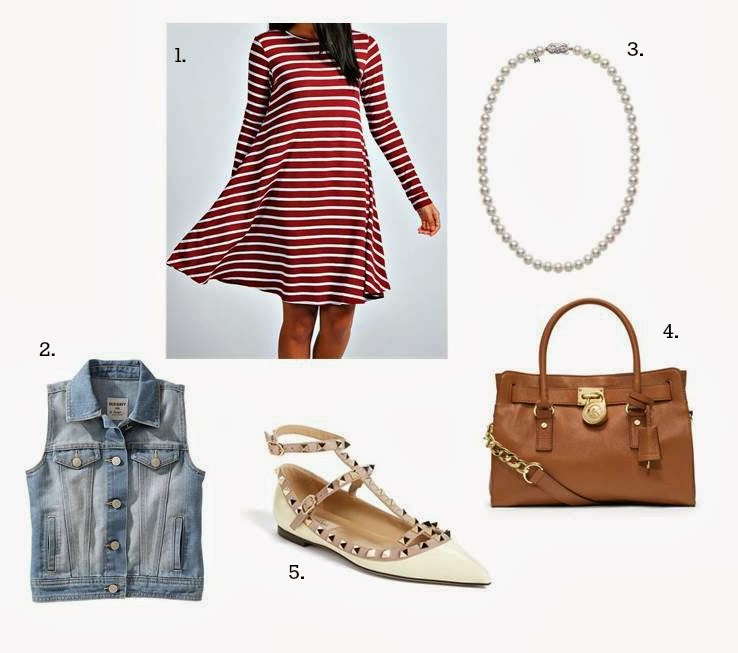 I put together two looks to show just that, the obvious way of wearing pearls in a dressed up way, and then a fun casual outfit wearing the pearl necklace. Both looks are more of a classy style but I seriously love both looks. I LOVE the dressed up look!! 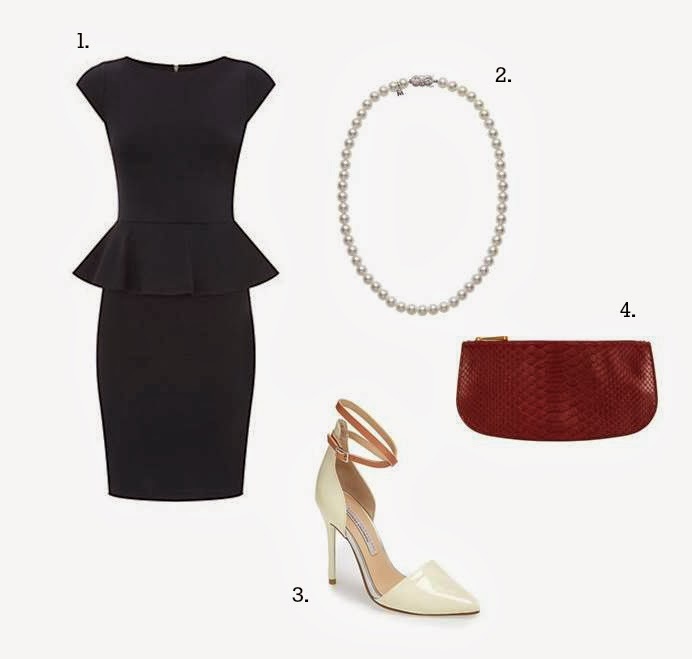 I've been trying to find a peplum dress that's long enough forever and those shoes are killer! !